As a certified partner of Microsoft, Cap Vision will help you to roll out Yammer in your company. Yammer is a social network for businesses where your employees can communicate and share information. Yammer is aimed at collaborative work, from discussions and surveys to sharing documents. Yammer is principally for employees, but partners, customers, and members from outside the company can also be invited to join. Share and collaborate with the right people. Communicate and share files by creating groups for projects or topics. Exchange ideas, advise your teams and share important documents. High-performance mobile apps guarantee effective collaboration. Enjoy the familiar Office suite user interface and related features. Work with anyone in the company on projects, initiatives, and events. Groups are an open, flexible workspace for your teams. Add partners, customers, and suppliers to the group’s conversations for more specific discussions. Create groups to encourage better relationships. Search for experts, conversations, and files to speed up your work. 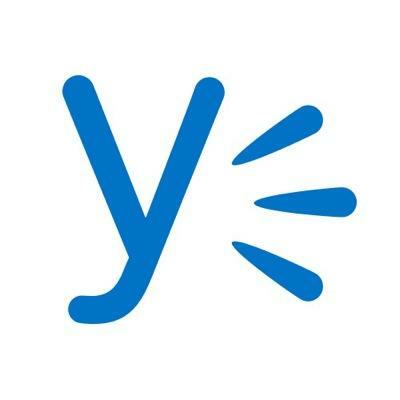 Yammer uses Office Graph to provide tailored search results. Use your inbox to display, prioritise, and manage the most important information for your work on Yammer. The Discovery feed keeps you up to date on what’s going on in your company. 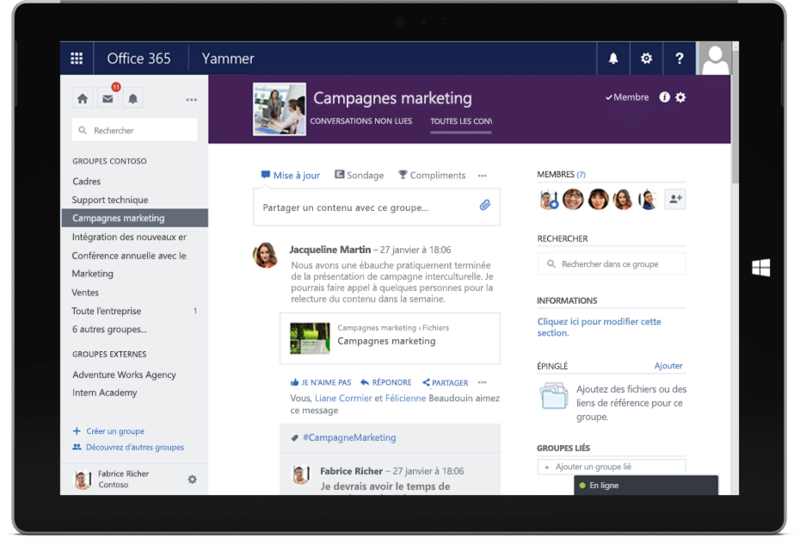 Yammer highlights the people, information, and groups that might be of interest to you. Enjoy the familiar experience of using Microsoft Office on Yammer. Preview, edit, and co-create documents using Office Online. Yammer makes it easy for your team to work together, share their knowledge, and encourage everyone in the company to get involved.